About ten years ago, when I was feeling a little bit rich, I ponied up for The Carter Family: In The Shadow Of Clinch Mountain, the amazing 12-CD set from Bear Family. Not long after I got it, my mother-in-law stopped by, looked at the cover of the box and said, “Why, that’s Maybelle, the guitar lady. Did you know she was my cousin?” Needless to say, I was shocked. Maybelle Carter was one of my favorite guitar players and I loved her 1928 Gibson L-5 so much that when I was 24 and had saved up enough money for a car, I decided to get a 1928 L-5 of my own instead. (George Gruhn has some great photos of Maybelle’s L-5 here.) The funny part is that at the time I had been married for ten years and even though my wife knew she was related to Maybelle, she never thought it was a big enough deal to tell me. Sheesh, just when you think you know someone, something like this happens to shake your confidence. Anyway, a couple of weeks ago I was watching one of the Flatt and Scruggs TV Show DVDs and Maybelle Carter appeared as a guest. That started me on a search to see what other Maybelle Carter video clips where floating around out there. Here are some of the better ones I found. 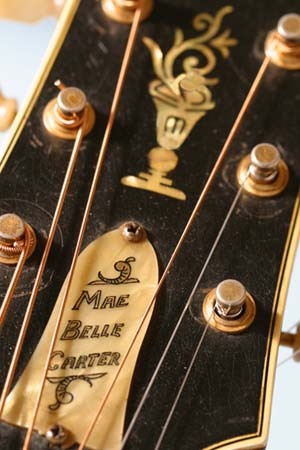 Maybelle Carter made her first records in 1927 with her cousin Sara and Sara’s husband A.P. Carter. (Maybelle was married to A.P.’s brother Ezra Carter.) Performing as the Carter Family, the trio proved to be a massive success and, along with their label-mate Jimmie Rodgers, became the first country music superstars. Although the original trio recorded hundreds of records, there is no film of them playing together. Sara and A.P. divorced in 1936, although they continued to play and record together. 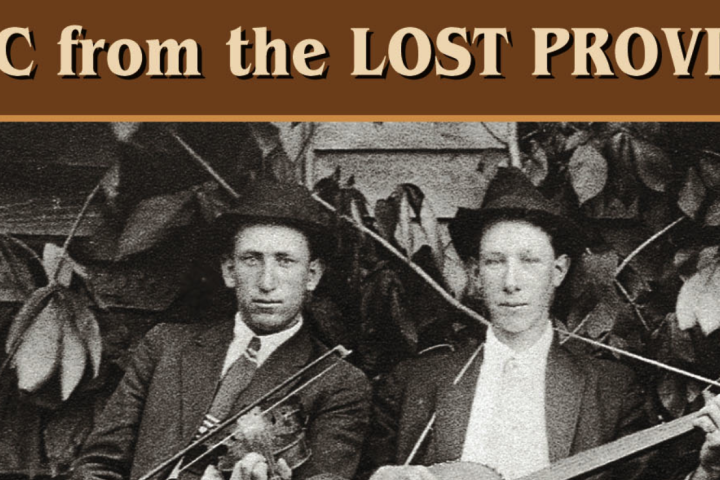 In 1939 Sara moved to California to marry a man named Coy Bays and the Carter Family played on until 1943 to fulfill their radio and recording contracts, but after that band essentially broke up. In 1966, Maybelle coaxed Sara back into the studio to record An Historic Reunion: Sara and Maybelle, The Original Carters. This clip of the cousins is one of the very few of the pair together. And that odd looking thing Sara is playing? It’s a fairly rare Autoharp Guitaro. “Wildwood Flower” was one of the Carter Family’s first hits and was a great showcase for Maybelle’s innovative technique of playing the melody on the bass strings and the accompaniment on the treble strings, a style that prefigures bluegrass guitar and is now known as the Carter Scratch. After the original Carter Family broke up in 1943, Maybelle and her three daughters Helen, Anita and June hit the road Mother Maybelle and the Carter Sisters. By the end of the 1940s they making records and by the mid-1950s they were stars on the Grand Ole Opry. I’m not sure when this clip was filmed but about half way through it features a very nice guitar break from Maybelle. On this clip from the Johnny Cash Show Maybelle and Ike Everly both share a guitar to play “Victory Rag.” Ike Everly was the father Don and Phil Everly and one of the greatest guitarists out there. Sadly, he didn’t record nearly enough. Another great clip of the Carter Sisters from the mid-1950s. Keep your eyes open for the cameo from Chet Atkins near the end. Atkins got his start in show business playing for the Carter Sisters. 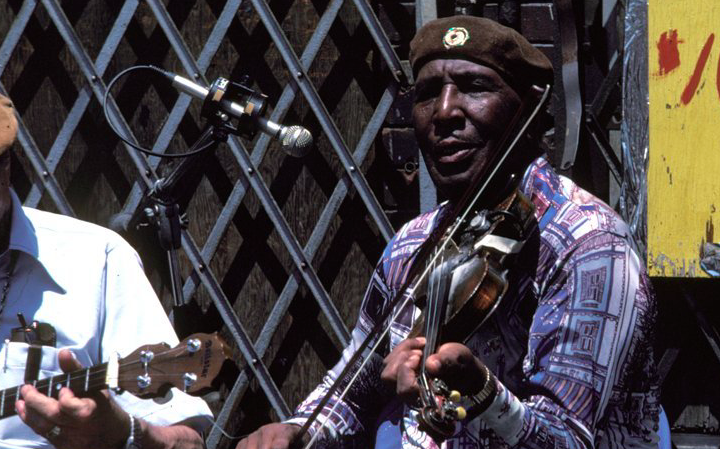 Maybelle doesn’t appear in this clip, but from his respectful version of her signature tune it’s clear that Chet Atkins really admires her playing. Maybelle’s shows up playing Autoharp in this clip of Flatt and Scruggs singing “You Are My Flower.” What I find interesting is that it’s one of the few clips of Earl Scruggs playing guitar and at the beginning he says he learned his picking from Maybelle’s playing.